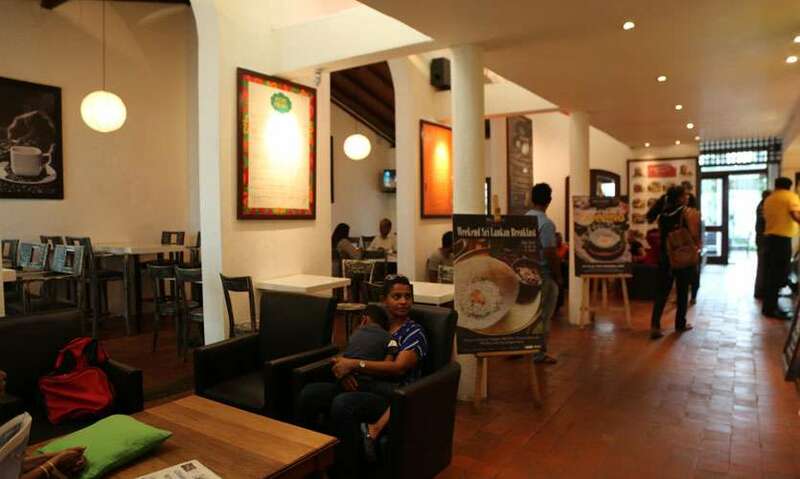 For over a decade The Commons coffee House has been un-ostentatious café down flower road Colombo 7 for families with little kids, teenagers on a last-minute assignment induced panic attack to Aunties and Uncles just reminiscing the good old days. It is one of the very few places that you can let your hair down and really settle in without having to worry about getting the side eye of a disgruntled staff when you have just hovered about for two minutes after paying your bill. You can buy one item or the whole menu and stay there as long or as short as you want, it’s a refreshingly welcoming place. This is one of the few places in Colombo (that is not a vegetarian or vegan restaurant) that really caters to all the vegetarians out there. I can safely say you will be spoilt for choice regardless of whether you are a vegetarian or a bonafide meat eater. Commons has a very relaxed and chilled out atmosphere with warm lighting, the subtle buzz of chatter and pop music that just blends into the background without interfering in your conversations. They have indoor and outdoor seating, both areas have a good mix of tables and chairs for the person working on their laptops or couches for those looking to sink in and relax. The menus are hung on the wall in every direction (you can also grab one from the cashier) there is the main menu that contains the all-day breakfast options, salads, soup, wraps, sandwiches, rice, healthy options, juice bar and desserts. Then you have a kid’s menu, the coffee menu, the Sri-Lankan menu and finally their burger menu. 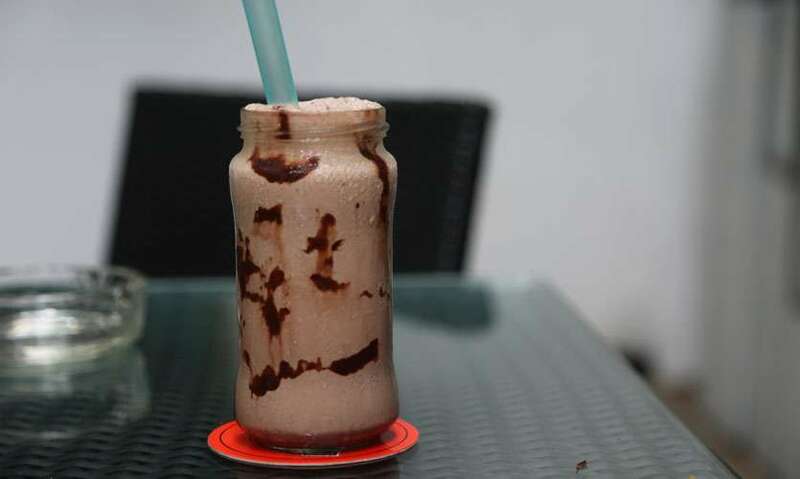 They have a decent variety in their drinks menu for both hot and cold beverages from cappuccinos, lattes, frappes, milkshakes and fresh juices. 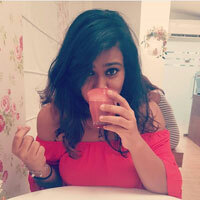 There is also a special health juice bar for the health-conscious people out there. We tried three drinks from the cold beverage section. 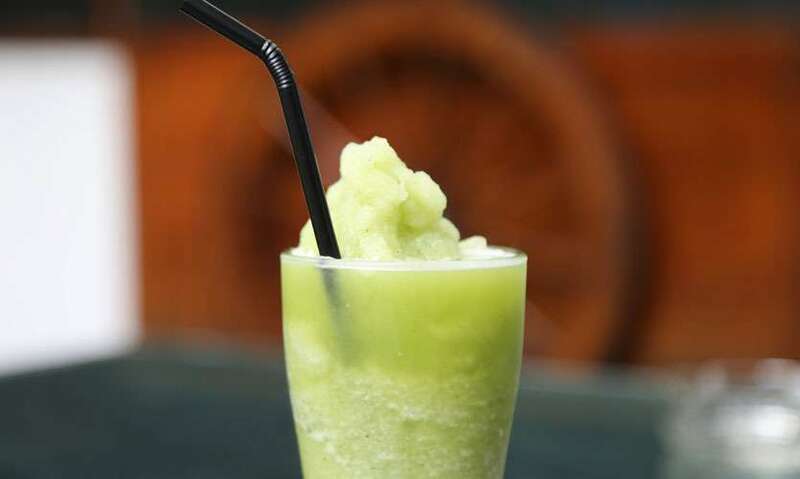 A beautiful lime green colour with shaved ice towering in the middle, a refreshing drink with a strong sour citrus flavour of the lemon coming through with a minty aftertaste which was balanced out with a touch of sugar syrup that didn’t overpower any of the main flavours. There is a generous serving of shaved ice didn’t dilute the taste as it melted. This is a suitable drink for those hot summer days where you just need that minty cold invigorating boost to beat the heat. I personally love the strong sour taste of lemons so this frappe was right up my alley, but this might not be everyone’s cup of tea (rather glass of frappe) if you don’t like the sour taste of lemons it might be a tad too strong for you as it really hits the back of your throat so this can be a matter of personal preference. 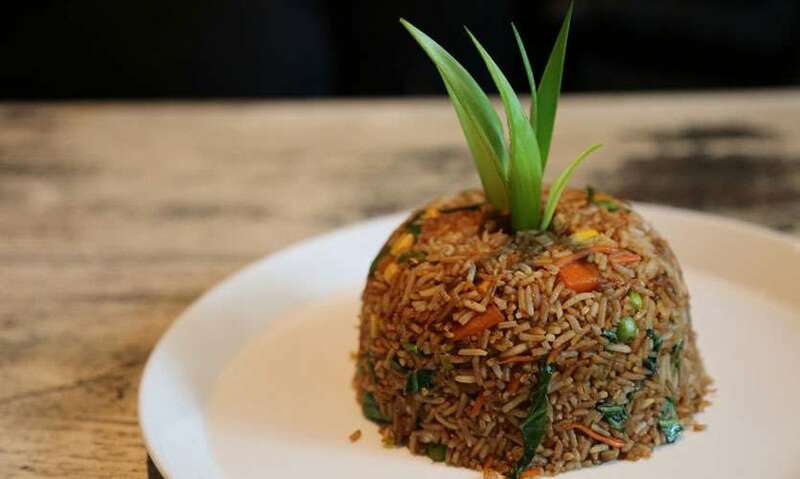 Now for what you have all been waiting for, the vegetarian dishes, we had a chat with Executive Chef Christian Sunendra (who has been with Commons for about four years) about the extensive menu and how there is vegetarian dish in each food category (rice, wraps, waffles, etc. 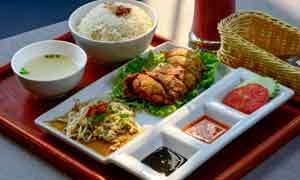 ), there are about thirty vegetarian dishes in total. 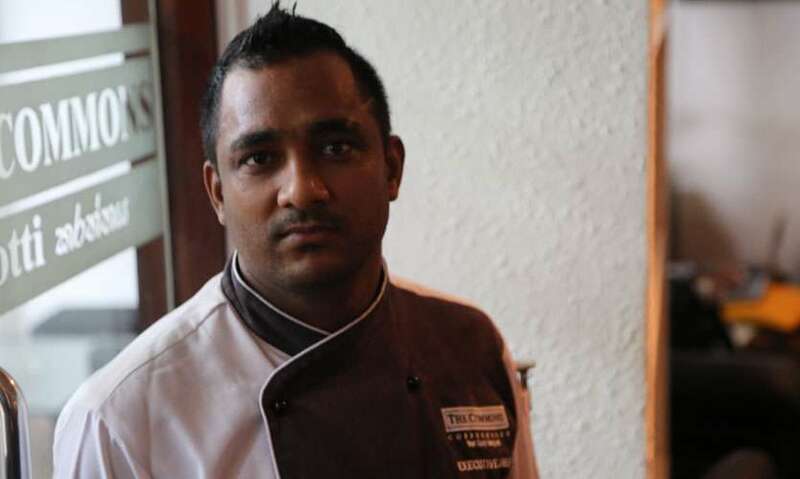 We asked Chef Christian how they managed to prep the kitchen to cater to such a large menu of different types of cuisines, he gave a small chuckle and said, “it’s our secret”. Whatever magic or house elves they have in the kitchen to execute these dishes in a timely and palatable fashion seems to be working for them. 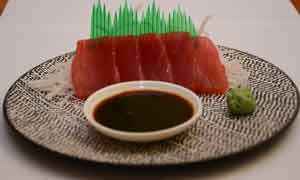 We had a selection of five dishes covering four different food categories. After the initial 15 minutes wait the rest of the dishes came in one after the other. Their rendition of the vegetarian version of the Mongolian rice was a filling meal consisting of basmati rice mixed with peas, button mushroom, leeks, sweetcorn, carrots, beans and bell pepper all tossed in soya sauce heightened with a subtle taste of garlic and ginger with the right amount of savory flavor to it, the rice was cooked to perfection and no grains sticking together and it really absorbed the essence of all the spices used. It wasn’t oily like most Mongolian rice out there but neither was it dry. you can ask for chilli paste if you want that extra zing to it. A delightful veggie Mexican fusion dish executed to suit our taste buds. The generous filling consisted of bell pepper, carrots, beans, leeks mixed in a tomato chilli sauce and the flavour was enhanced with cumin and ginger powder. This was then wrapped with a wheat tortilla (they import tortillas) which was slightly chewy once the sauce soaked in but we didn’t mind it made for an interesting texture. (a corn tortilla would have been a better option as it’s firmer and holds better under all the sauces) and finally ladled with the enchilada sauce with the cheese sauce to finish it off. the veggies had a wonderful crunchy texture and went well with the sharp taste of the tomato chilli sauce mixed with cheese sauce, there was a party in the mouth with each bite. 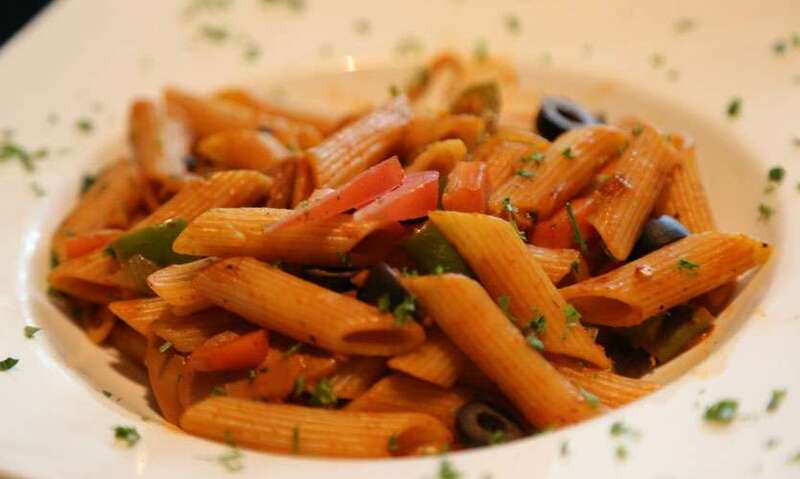 The pasta was cooked al dente mixed with mushrooms, carrots, olives, tomatoes and bell pepper all mixed in a light tangy tomato sauce enhanced by oregano to really pick it up a notch and garnished with a light dusting of finely chopped parsley. While the penne pasta had the right amount of firmness this dish could have used more tomato sauce as it was a little dry, you can also request for extra cheese which I feel would really complete the whole experience and balance out the dry part. This sizable double-decker beauty sits on top of a wooden tray and is accompanied by thick-cut fries and tomato sauce. This whole set up was visually appealing and had a rustic feel to it. 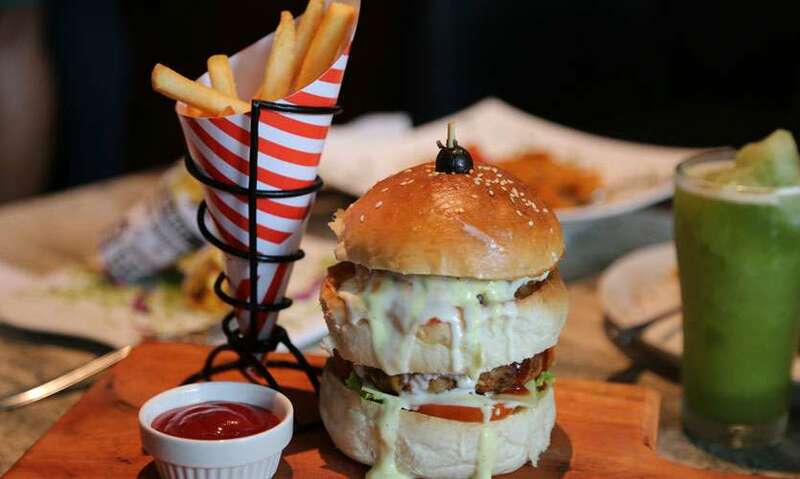 Now, what is a burger without its trusty thick cut fries which were fried to a perfect golden brown and had the right amount of crunch to its soft mushy centre? The patty is made in-house was simple enough with potatoes, shredded carrots, beans and leeks. this patty sits on a bed of lettuce and tomatoes and drizzled with mayo, mustard sauce and BBQ sauce and is sandwiched in between a lightly toasted fresh burger bun also made in-house. Eating this creates one glorious mess but if you aren’t making a mess while eating a burger you aren’t doing it right. it’s a rather large bite but the combination of all the sauces, the texture of the patty and the soft bite of the bun is well worth the mess you make. Cut it into four parts and ditch the forks and use your hands no one will care that you look like a 5-year-old eating their favourite meal. 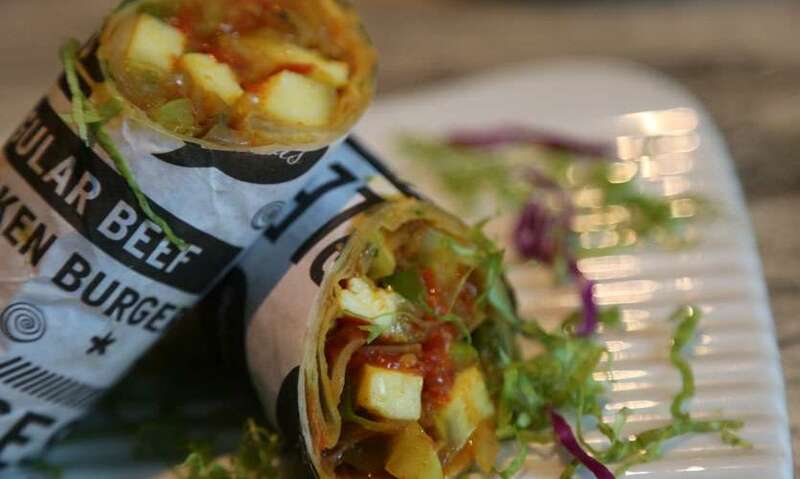 This was an interesting Indian fusion wrap (the wrap is made of a wheat tortilla) that is made of paneer which was nicely grilled and mixed with capsicums, onions, tomatoes coriander and jeera and chilli powder is added to give it an Indian curry like consistency. 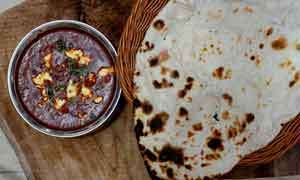 The tender succulent bite of the paneer and the crunch of the capsicum along with spices present made for a hearty ethnic mouthful. 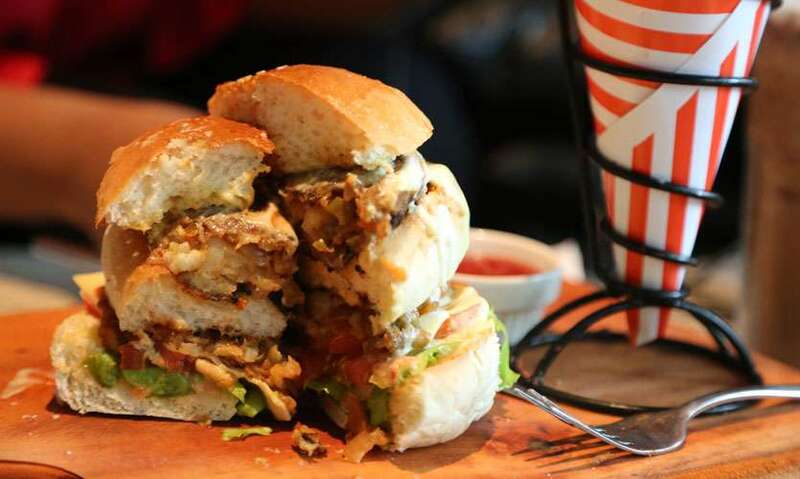 The coco caramel frappe and the veggie burger paired together (this is a big meal, order on an empty stomach or if you have someone to share it with) and the vegetable enchilada for sure! The Commons have a friendly staff and service is reasonably quick but they do tend to get busy as the day progresses so service could slow down a bit but it won’t be a painstakingly long wait. Generally, they serve food in 15 minutes and drinks in 10 minutes. They have parking right in front of the premises and the guy handling that area is super friendly and will remember you even on your second visit. There is one lady’s toilet inside and one gents outside. I’ve haunted this place more times than I can count for a long time now and will continue to do so as It is the best place to chill for a few hours and catch up with friends. One must applaud them for taking on the challenge of maintaining such a diverse menu that makes it easier when you have a gang with picky eaters. It’s also brilliant that they have plenty of options for us vegetarians to choose from, it’s nice not to be an afterthought. Of course! Where else in Colombo can I hang out for ages, eat good food and not get thrown out. It’s a good place if you want to hangout out for a few hours and kill time or just want a good hangout session. There is no dress code you can walk in with your Bata slippers and no one would even notice. You can go through the menu and then order at the cashier and make your payment and your food will be brought to you. You can also ask them to bring a menu and order from your seat and pay but this could take a while so best place your order at the cashier. Also, note that their prices are without government and service charge taxes so it will add to your final bill. 39A, Flower Road, Colombo 7.